Please follow the link below for a booking form and full details of the Trust's 2014 conference, to be held at the Royal Armouries in Leeds, 4-6 April. The aim of the conference is to showcase battlefield conservation. In our programme of events we have tried to reconcile the desire to make the most of a visit to Yorkshire with the different budgets and time that our members can dedicate to the conference. We will therefore be offering a core Saturday � Sunday programme and, for those who would like to make the most of the weekend, some informal visits on Friday afternoon. Conference speakers will be from a range of academic disciplines, including historians, archaeologists, business scholars and curators from the Royal Armouries. This is the fulfilment of a promise we made to the late Professor Richard Holmes to build on the success of the Bosworth Project. 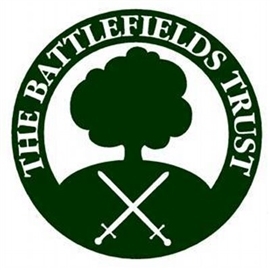 The Battlefields Trust Annual General Meeting will take place at 16.00hrs on Saturday 5th April. There is no charge for attending the AGM itself. For those who require it, accommodation has been arranged at the Holiday Inn Express which is conveniently sited next to the Royal Armouries. The Trust�s annual dinner, at which we will announce our annual awards, will be held in the Armouries on Saturday evening. We will spend Sunday visiting the battlefields of Towton (1461) and Marston Moor (1644).